The 200 series sedan has long been important to Chrysler’s overall sales success. The 200 competes in the industry’s most significant mid-size segment, which accounts for 2 million sales across all brands each year. One of every six cars sold is a mid size sedan. 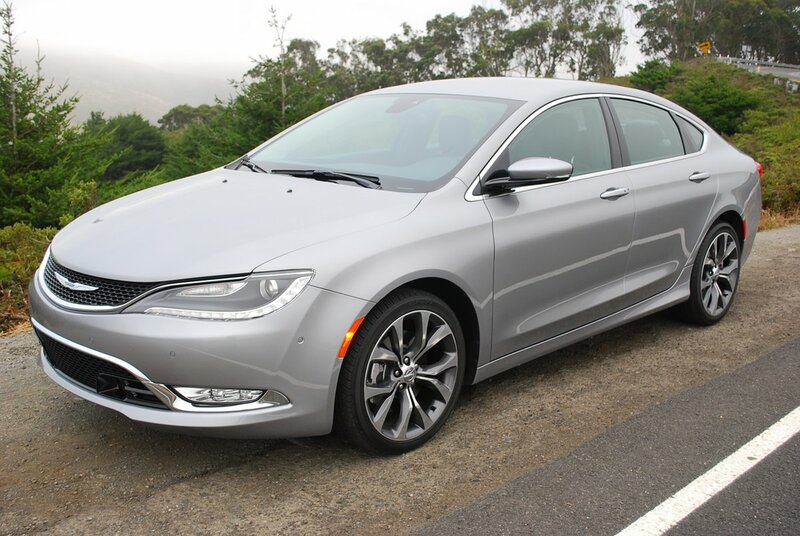 Chrysler’s previous effort in this segment, the outgoing 200, sold 125,000 units in 2012. Since then, Chrysler has become part of the Fiat empire. 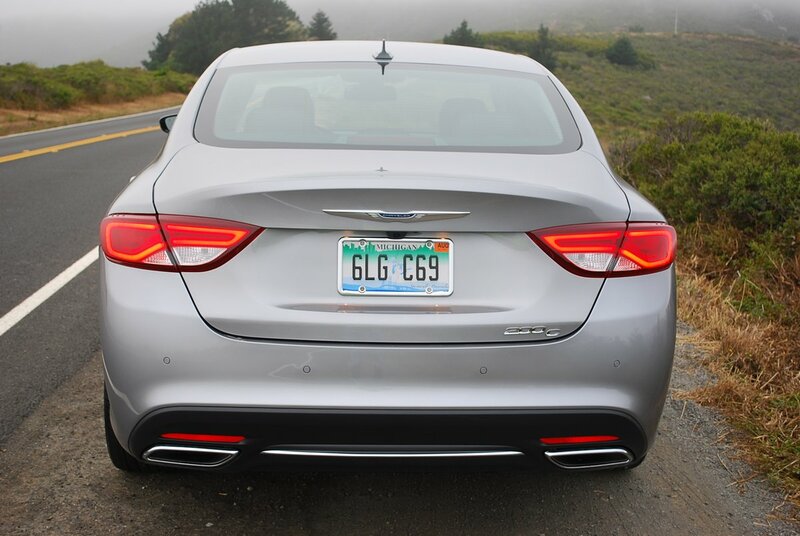 With design help from Fiat subsidiary Alfa Romeo, Chrysler brings to market an all new 200 for 2015. This is not a freshened remake of the previous car, but a new offering based partly on Alfa’s Giulietta sports sedan. The 200 is available in 5 different flavors (including AWD), with the 200LX being the most affordable with its base price of $21,700. As you work your way up the food chain, you encounter the 200 Limited, 200S and finally the premium model we tested, the 200C, with a base price of $25,995. Letter cars (i.e. 200 “C”) have traditionally stood for something special from Chrysler, and this 200 carries on that proud tradition. Under its hood sits the most potent engine available for the 200 model line, a 3.6 liter Pentastar V-6 producing 295hp and 262 lb.-ft. of torque at 4,250rpm. Unlike the car it’s powering, the Pentastar V-6 is not a new offering. 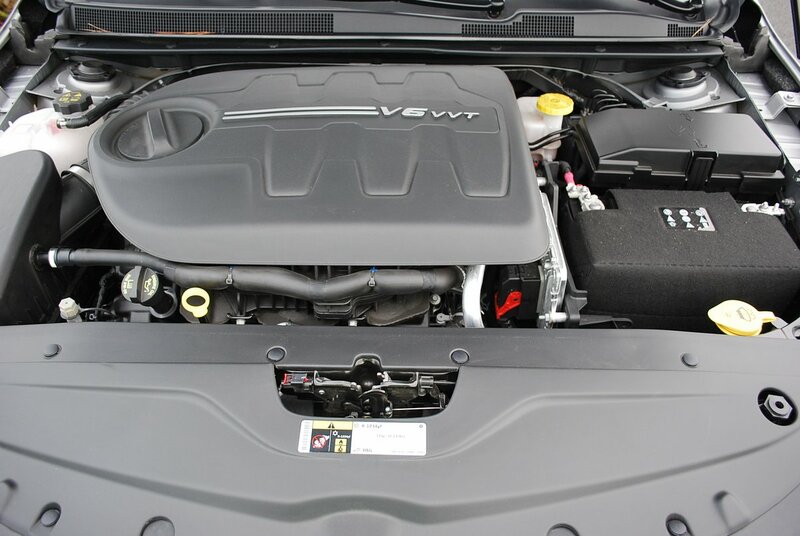 More than 3 million have been built since Chrysler introduced the current V-6 in 2011. This engine costs an extra $1,950, an option that also provides heavy duty 4-wheel ABS disc brakes, as well as shift paddles connected to the steering wheel. What is new, however, is coupling the V-6 to the first 9-speed automatic transmission ever offered in the mid size market segment. The 9HP78 gearbox maximizes not only performance, but fuel economy as well. The new 300 records a 9% improvement in mileage over the outgoing model. In the lower 4 gears, this sedan is a strong runner, with instant acceleration on tap provided you use the paddles to downshift into an appropriate rpm range for maximum lift off. The transmission control unit is a rotary dial that sits inconspicuously atop the center console. It takes a bit of familiarization before you feel fully comfortable with its operation and location, but you can’t quibble with its ease of use or space saving size. Its selections include a sport detent labeled “S” that not only disables Traction Control, but also insures that the gear you have selected with the paddles remains in force until you decide to change it. The system works flawlessly, and pays proper homage to the kind of engineering advance long typical of Chrysler “letter” cars. Design inspiration for the sleek looks of the 200 comes from a bevy of familiar American idioms like Chris Craft boats, Eames furniture, Airstream trailers, and Apple’s iPhone. For example, the handy sliding drink holder between the front seats operates like a fine piece of Eames design furniture. Chrysler designers tried to emulate the stripped modern look of bentwood furniture in their overall design brief for the 200′s interior. You’ll find countless cleverly hidden cubbies for stowing your belongings. Instead of garish chrome trim, you’re treated to high gloss piano black highlights on the door panels and dashboard. Particularly well handled are the floating instrument cluster design and the optional HD 8.4 inch TFT touch screen which controls most cabin and entertainment functions. Thoughtfully provided are redundant buttons for temp control and fan speed so you aren’t forced to rely on display screen sub-menus while trying to concentrate on driving. 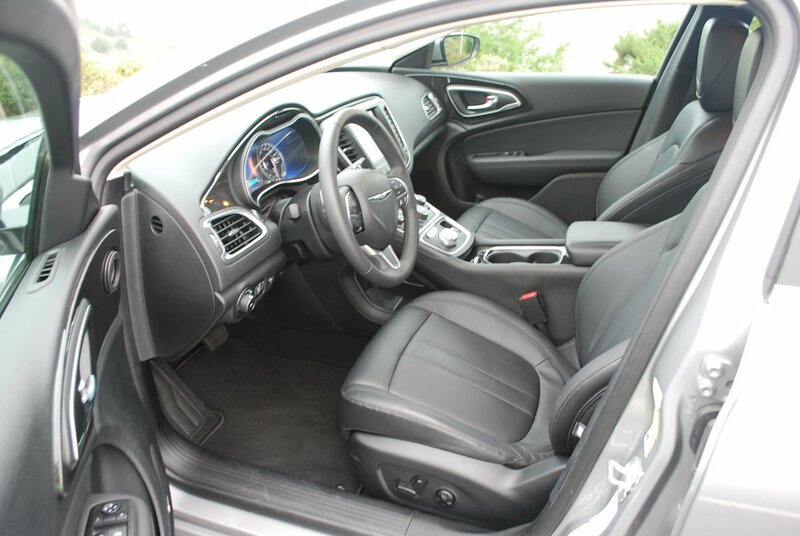 Handling of this mid size sedan is so sporting that drivers addicted to zipping around corners will find its rewarding behavior far exceeds their preconceptions. The design team has utilized much light weight aluminum in the fabrication of the front MacPherson strut suspension’s lower control arms, as well as the cross member which supports the independent rear suspension. 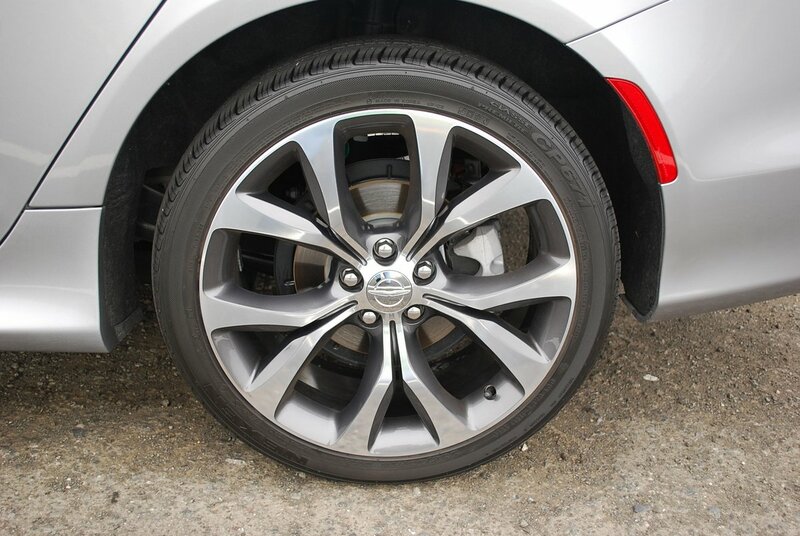 Even the boldly designed optional 19″ x 8″ alloy wheels ($995) have been designed specifically for use on the 200C. They replace standard 17″ alloys, and support a set of suction inducing Nexen 235/40R19 tires that really get with the sport program. Chrysler’s attention to detail in the engineering of the 200C is enough to make you marvel at the operation of the simplest features. Take the air ducts on the dashboard, for example. These open and close with the precision of a Swiss watch because they are actuated by rack and pinion gearing. It’s a small touch, but indicative of the level of forethought that went into the construction of this splendid new sedan.